Unlock 19 exclusive video lessons. Everything above plus unlock 1 additional course(s). This course provides hands-on experience in producing, mixing, and sound design with a digital audio workstation. Students will learn the fundamentals (physics) of sound and digital audio, proper gain staging, where and how distortion enters recordings and mixes, how to set levels and panning, effective sub group mixing, and an introduction to signal processing such as equalization, compression, delay, and reverb. In addition to core audio and mixing concepts, students will learn various production techniques, such as sequencing, arranging, automation, using virtual instruments (e.g. synths, samplers, and drum machine plugins), working with MIDI, plugin formats such as VST/Audio-Units, and mapping digital USB controllers for the studio and live performance. The material covered in this course will range from the foundations of producing music and sound design, to more advanced topics such as Ableton "racks" (Audio Effect Racks, MIDI Effect Racks, Instrument Racks, and Drum Racks), multi-band effects processing, advanced modulation, warping, time-stretching, and mangling audio, as well as taking advantage of Live's audio analysis tools for extracting grooves, melody, harmony, and drums from recorded sound. This session will cover the fundamentals of Ableton Live, including Live Sets and Projects, tracks, clips, the Session View, the Arrangement View, exporting audio, and more. This session will cover the basic properties (physics) of sound, an introduction to digital audio theory, and gain staging. This session will cover the fundamentals of setting up a basic mix, including balancing levels, placing sounds in the stereo field, and mixing into pink noise. This session will cover using EQ to shape your sounds and mixes. Learn about the different types of EQs (3-band, Graphic, and Parametric) and how to use them on different sounds, using EQs for dramatic effect, as well as creating dynamic EQs. Learn about natural and analog reverb, sound reflections and absorption, and how to use Live's powerful digital 'verb to bring a sense of space and depth to your tracks. Additional lessons in using reverb for sound design and FX will be covered. This session will cover everything you need to know about dynamics processing and using compression to produce punchy mixes. Topics include an overview of how compression works using Ableton's "Compressor", buss compression with the "Glue" compressor, Parallel/NY compression, multiband compression with the "Multiband Dynamics" compressor, and Side-chain compression. 3. Why is Compression Used? This session will cover the foundations of sampling from a historical perspective (Musique Concrete to Hip Hop), and practical use of samplers and sampling including using Live's Simpler and Sampler devices for synthesis and sound design, chopping up drum breaks, etc. This session will cover using Audio Effect Racks, MIDI Effect Racks, Instrument Racks, and advanced Drum Rack configuration for a wide range of applications including: dynamic audio effects, custom arpeggiators, multiband effect processing, and more. This session will cover a wide range of advanced production techniques including a deeper understanding of the MIDI protocol, syncing multiple Live sessions on different computers via a standard computer network (WIFI/Ethernet), mapping strategies for live performance, as well as advanced audio analysis in Live (extracting "grooves" from audio, and converting melody, harmony, and drums from audio-to-MIDI). Understanding of the basic properties (physics) of sound, the perception of sound, and its relationship to music. Understanding of digital audio, including concepts such as (but not limited to) analog-to-digital conversion, digital-to-analog conversion, bit-depth, sample-rate, headroom and gain-staging. Ability to use core mixing techniques such as balancing levels, panning, equalization, compression, and reverb. Ability to use advanced routing and signal flow such as buss channels, sends/returns, groups, and parallel processing. Ability to use many facets of digital audio workstations such as sequencers, arrangement, and automation. Introduction to synthesis and sampling concepts such as envelopes (ADSR), LFOs, and advanced modulation. Ability to use MIDI and a core understanding of the MIDI protocol specification. Ability to use a digital audio workstation to realize a piece of music or sound design from scratch. Advanced use of Ableton Live Instrument Racks, Audio Effects Racks, MIDI Effects Racks, and Drum Racks for creative expression. 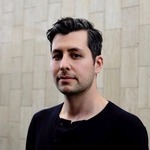 Jordan Natan Hochenbaum is an artist concerned with finding meaningful connections among music, art, and technology. His work involves designing novel interfaces for musical performance, multimodal sensor systems, and playing and composing in a wide range of musical styles. Hochenbaum actively releases music under the Natan H moniker. As co-founder of FlipMu, he has explored interactive works for large-scale multitouch surfaces, real-time data sonification, generative audio/visual systems, and open-source interface design. Together with Owen Vallis and Jasmin Ruiz Blasco, he has been working as The Noise Index, an art-and-research platform that explores questions emerging from increased access to information in the digital age. In 2013 Jordan completed his PhD titled L’Arte di Interazione Musicale: New Musical Possibilities through Multimodal Techniques. Recently he has worked on anomaly detection at Twitter, while also on faculty at California Institute of the Arts, where he teaches a variety of classes in the Music Technology department. 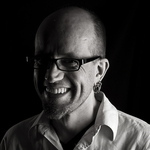 Jordan’s work has been featured online and in print, including Wired, Computer Arts, Make, and XLR8R Magazine, The Creators Project, on Processing.org and Rhizome.org, and at festivals and conferences including Google I/O, NASA’s Yuri’s Night, the International Conference on New Interfaces for Musical Expression, the International Society for Music Information Retrieval, and the International Computer Music Conference. Robert Henke is an artist working in the fields of audiovisual installation, music and performance. He was born 1969 in Munich, Germany, and lives in Berlin. Coming from a strong engineering background, Henke is fascinated by the beauty of technical objects and developing his own instruments and algorithms is an integral part of his creative process. His materials are computer generated sound and images, field recordings, photography and light; transformed, re-arranged and modulated by mathematical rules, real time interaction and controlled random operations. His long term musical project, Monolake, founded in 1995, became one of the key icons of a new electronic club music culture emerging in Berlin after the fall of the Wall. Henke is also one of the main creators of the music software Ableton Live, which since its invention in 1999 became the standard tool for electronic music production and completely redefined the performance practice of electronic music. He writes and lectures about sound and the creative use of computers and held teaching positions at the Berlin University of the Arts, the Center for Computer Research in Music and Acoustics (CCRMA) at Stanford University, and the Studio National des Arts Contemporains - Le Fresnoy in Lille, France. His installations, performances and concerts have been presented at Tate Modern London, the Centre Pompidou Paris, Le Lieu Unique Nantes, PS-1 New York, to name a few. PLEASE NOTE: Taking part in a Kadenze course as a Premium Member, does not affirm that the student has been enrolled or accepted for enrollment by California Institute of the Arts. If a student signs up for the Foundations of Music Technology program, it is recommended that these courses are taken sequentially. This course is also part of the Program: Foundations of Music Technology, and you'll earn a verified Specialist Certificate after successfully completing the Program. This course is part of the program: Foundations of Music Technology. Programs unlock exclusive content (courses) that helps you develop a deep understanding of your subject.